I recommend that you carefully read these Terms that apply to my appointment by you and the services I will provide. Quidsi Ltd, 3 Watendlath Close, West Bridgford, Nottingham, NG2 6RD. Telephone: 07976 851896. QS Insurance is a trading style of Quidsi Ltd. The purpose of this agreement is to set out our professional relationship and detail the services we will provide to you. For your own benefit and protection, you should read all of the information carefully and in particular, we would like to draw your attention to the “IMPORTANT INFORMATION” section of your quote. If you do not agree to any part of the information, please tell us. We assume that you accept the terms of this agreement unless we hear from you. By accepting any quote or renewal of any insurance policy, you are agreeing that you, your company or any fellow director or partner in the company, have never been convicted of any criminal offence, been involved in any company or personal bankruptcy or insolvency, CCJ's, tax investigations or arrangements with creditors. Further this includes convictions or censure by any trade or professional body. Our Financial Services Register number is 586499 and you can check our status and permissions at www.fca.org.uk or by contacting the FCA on 0800 111 6768. 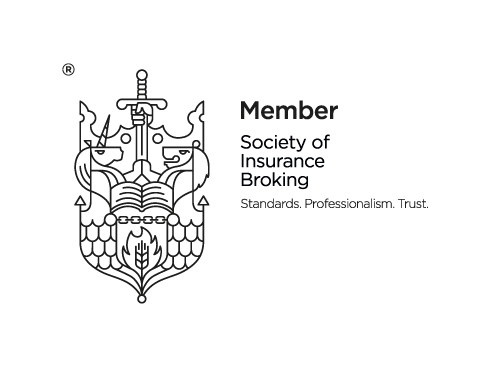 We will exchange the information that you provide to us with insurance companies and other brokers or agents for the purposes of obtaining insurance quotations and arranging cover, this may result in a credit check to confirm your identity and minimise the risk of fraud. We will treat all information as private and confidential, and in strict accordance with the Data Protection Act 1998 (DPA) and General Data Protection Regulations (GDPR), even when you are no longer a customer and only share information if we are required to do so by law, or regulation. Under the DPA and GDPR, you have a right to a copy of any personally identifiable information about you that we hold in our records, you can obtain details by writing to us at the usual address. You also have a right to remove your consent for us to hold your information at any time. We will provide you with advice and guidance, after assessing what you want and need and recommend a suitable policy based on our experience of dealing with similar risks. Please note that we are not qualified to assess or value your assets or confirm that any insured amount or limit is sufficient for your needs. Sometimes we may only approach two or three insurers and this is a limited Panel, or in some cases, we may only approach one insurer, in either case, we will tell you the basis as part of our selling process. You can also request a list of the companies that form the Panel we have approached. We regularly assess the financial strength of the Insurance Companies and other intermediaries that we deal with. The process usually involves general observation of the financial ratings applied by independent rating agencies such as Standard & Poor’s along with other readily available information within industry guides, newsletters and press releases. Whilst we take care to deal with companies that maintain reasonable solvency margins, we cannot guarantee their financial ability to pay claims. If you choose to enter into a finance arrangement, this will be subject to interest charges that we will confirm to you when providing the full details. Importantly, the arrangement you will enter into will be with the finance company not us. It is an entirely separate contract irrespective of the insurance contract. In the event of your failure to meet with the contractual obligations regarding payment the finance provider could approach the insurer to seek a termination of the insurance contract to recoup their outstanding finance arrears. You will be liable to pay their costs and charges if you do not keep up your repayments and cover is cancelled under your policy. This is because the agreement is between you, the policyholder and the finance company direct, not us or the insurer. Please note that we only use Premium Credit Ltd for the provision of premium finance facilities. Please contact us if you wish to cancel any policy that we have arranged for you. Customers acting outside their trade or profession (Consumers) will usually have a legal right to cancel policies for any reason, subject to no claims having occurred, within 14 days of receiving the full terms & conditions.You will always be advised where this Right applies. A charge may apply for the period of cover provided and, in addition, an administration charge will apply as shown in the charges section above, cancellation under this right must be in writing, prior to expiry of the cancellation period, to our usual office address. Our aim is always to provide our customers with a first-class service; however we are aware that, occasionally, it is possible that we may fail to meet your expectations. If for any reason we have not met your expectations, let us know as soon as possible, by calling our main office telephone 07976 851896, or write to Richard Benson, Quidsi Ltd, 3 Watendlath Close, West Bridgford, Nottingham, NG2 6RD or email richard@qsinsurance.co.uk. If we are unable to meet our obligations, you may be entitled to compensation from the FSCS. If we have advised or arranged insurance for you this will be covered for 90% of a claim, without any upper limit, however compulsory classes of insurance (such as motor insurance) is covered for 100% of a claim. Further information is available from the FSCS helpline 0800 678 1100 or 020 7741 4100.and www.fscs.org.uk. You may cancel this agreement with us at any time. You must provide at least 3 days written notice of instructions. We also reserve the right to cancel this agreement at any time. In any event, we will provide you with reasonably sufficient time to re-arrange your insurance and we will notify you of termination in writing together with an explanation if appropriate.